Sanouva, the name comes from the heart and the passion of our Owner. Our mission is bringing the best valuable experiences to our distinguished guests all over the world. 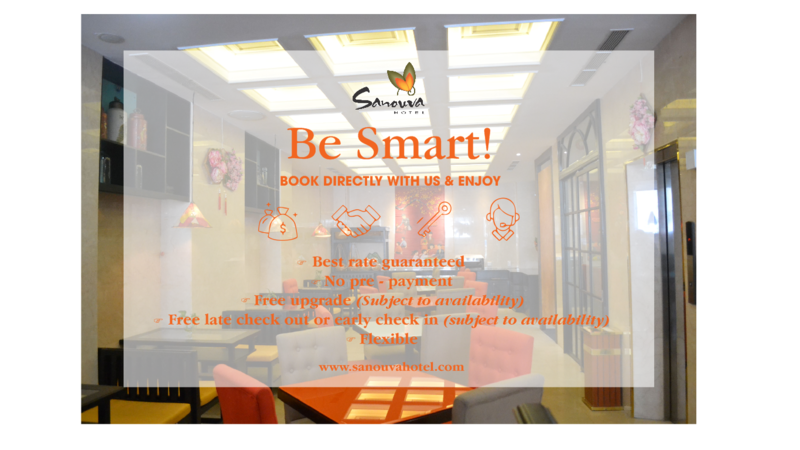 We care from the small details to build the Sanouva Hotel to be an excellent one in Ho Chi Minh and Da Nang city. The blend well between contemporary and antique style to make the Sanouva Hotel to be the difference. Our friendly and knowledgeable team is the hotel’s dearest possession. We build up our hotels daily by following our guests’ comments. Our slogan is “Once booked, forever served”.